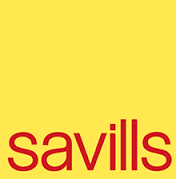 The 2nd XI play their home games on Sevenoaks Vine. 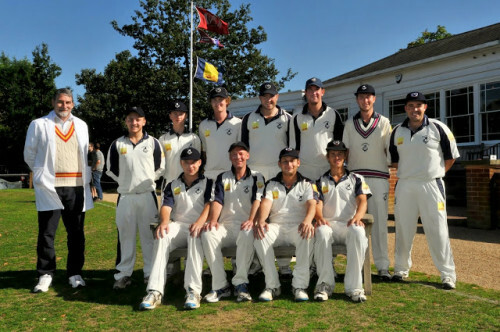 The Sevenoaks Vine 2nd XI are very successful side in the Kent 2nd XI Premier League. Following on from being champions in 2012, a young and aspiring side had a solid season in 2013, finishing 4th following some tight results that did not go our way. In 2014, we will be looking to improve on this result with an ever improving and expanding squad which displays a strong mixture of experienced senior players and young, upcoming cricketers. With a new leadership duo taking over, 2014 is shaping up to be a very exciting and enjoyable year, in which the side will be gunning to regain their Premier League crown! The 2nd XI is the perfect platform for players aiming to achieve 1st team selection by providing them with plenty of opportunity to play quality sides at top Kent League grounds. 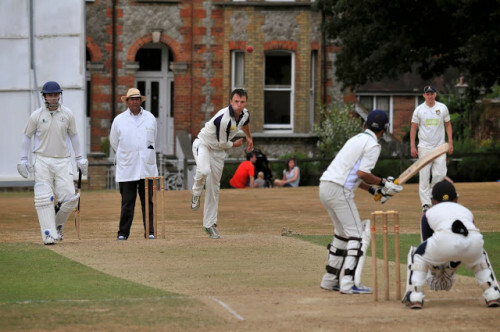 The 2nd Xl will work closely with the 1st team as both clubs strive towards winning their respective leads, both teams will aim to train weekly at the Vine’s Otford ground under the supervision of Richard Parsons, allowing young players to hone their skills and put their name in the hat for 1st XI selection. A strong blend of characters within the squad makes playing the game extremely enjoyable and we are always on the look out for new players to join in so please get in touch if you are interested in playing!